Another Camino staple item that deserves a bit of praise is the sarong. Or scarf. Or wrap-around skirt or whatever you call it: shemagh, Palestine scarf, lava lava or whatever. Square, rectangular, cotton, silk, man made fibres, single colour or patterned. It can be used as a cover-up after the shower, a spare towel, a bed sheet, pillow case, skirt, scarf, shawl, dress, picnic blanket, bottom bunk curtain, top bunk safety net, foot hammock … have you remembered to pack one? That photo is very convincing! Glad you like it … it was a stroke of genius if I have to say so myself. 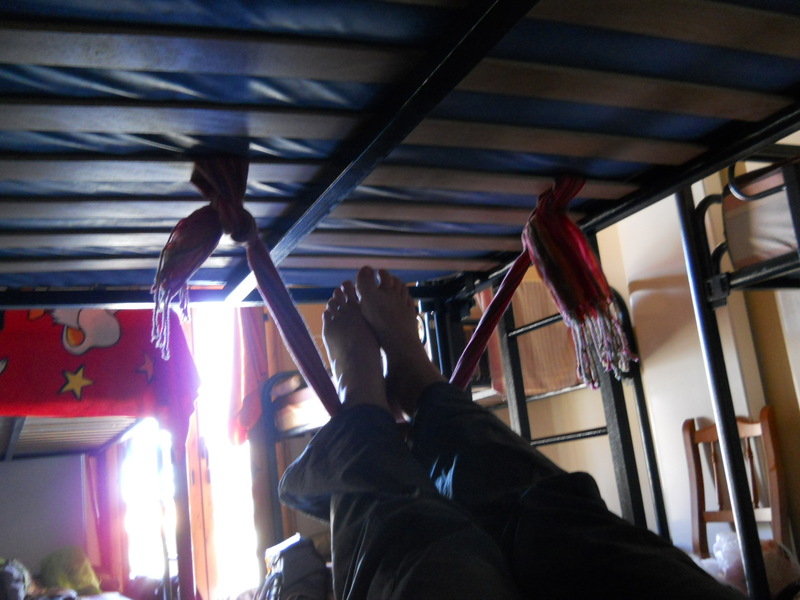 There is another photo in the post praising the top bunk where there are three sarongs/scarves/wraparound skirts hard at work too – I wouldn’t dream of going without one!